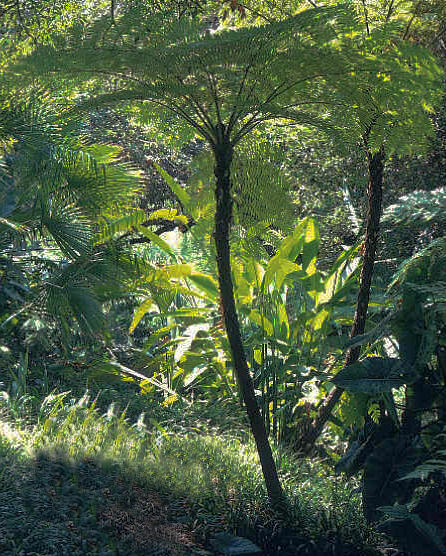 A dramatic and fast growing tree fern from Australia. Trunk can ultimately grow to 180cm! Not a hardy fern except in very mild areas. Minimum -4 to -6 centigrade. A fast growing tree fern with light-green fronds.